This entry was posted in 1900-1929, Photos, Uncategorized. Bookmark the permalink. Post a comment or leave a trackback: Trackback URL. Many years ago I interviewed a gentleman in Fairbanks who had worked as a Deputy Marshall in Alaska during the territorial days. He told me about criminals and “others” that would be held in the jail until court hearings could be held. This could take up to a year at times because of the traveling justice. 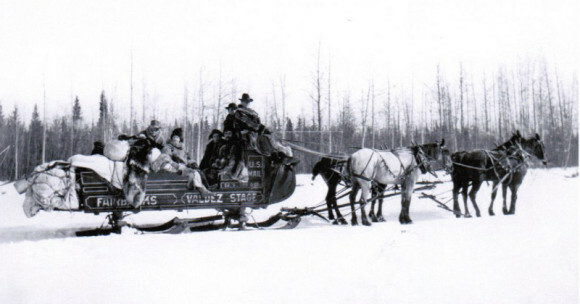 When they had folks that were to be transported out of Alaska, they would advertise that any honest civilian wanting to go to Seattle could hire on as a temporary deputy to assist on the trip. They would transport criminals and the “insane” together and many times had to keep them all in restraints. He told of one man who had to be strapped to a cot for the entire trip because of his insanity and violence. The trips were made from Fairbanks by stage or later by train and then onto a steamer bound for Seattle. He never mentioned Morningside by name but it is pretty clear now. Interesting web page you have created.